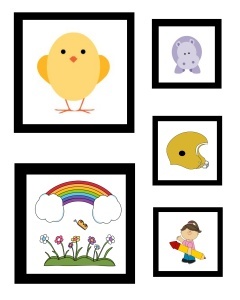 I am excited to bring you a brand new printable subscriber freebie today. 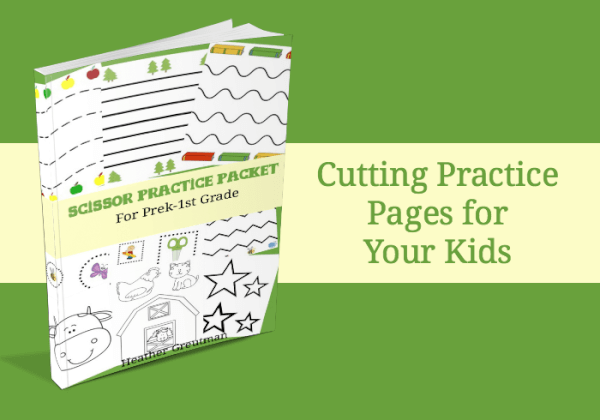 It is a scissor practice packet, designed for ages prek-1st grade and is full of fun cutting activity pages. Scissor skills are important for kids of all ages to master. Many times when I was working in the school system, a lot of the kids had very poor scissor skills. Often times they could not cut on the line, had many jagged edges, or would cut too fast. Also being able to hold the paper at the same time as the scissors was a hard skill. One of the main reasons kids have difficulty with cutting is because of lack of exposure. Many times parents are afraid to give their kids scissor, which is understandable. 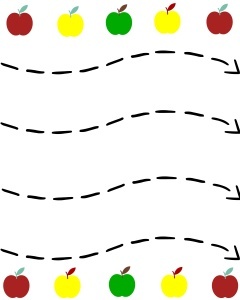 However, there are many great kids scissors out there that can be used during cutting activities. Of course, always keep the scissor in a safe place, out of reach when they aren't in use. 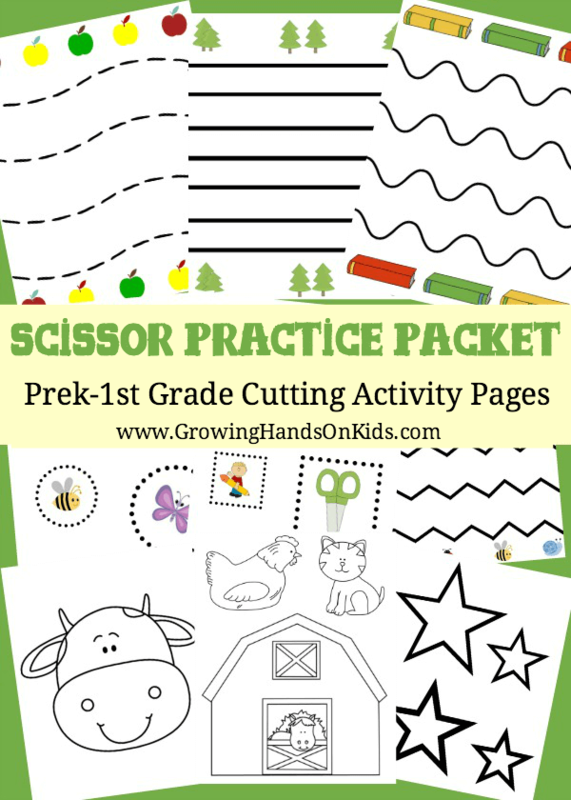 So with this packet I have included scissor practice pages for preschool through 1st grade (3-7). 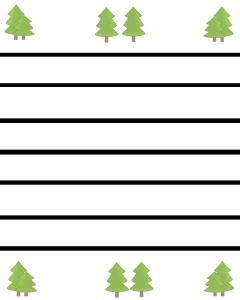 All of the pages are set up in an age appropriate sequence, starting with straight lines. There are 32 pages total of activities for your child to work on in this Scissor Practice Packet. These are some sample pages from the packet. All of the lines are various widths, lengths and designs so you can use this packet with all the age ranges and at various skill levels. If you notice your child is cutting too fast which is causing jagged edges or not staying on the line, print out the activity pages onto thicker card stock paper. The extra thickness will slow your child's cutting down, allowing them to work on accuracy. You can get the scissor practice packet for free by entering your first name and e-mail address below in the form. Click “download” and then you will be asked to check your e-mail to confirm your subscription. Click the link in that e-mail to confirm (double check your spam folder if you don't see the e-mail in your inbox) and then the scissor practice packet will automatically download to your computer. Double check your downloads folder to find it and save it to your desktop so you can reference it later. If you wish to not subscribe, you can purchase the Scissor Practice Packet for $2.99 over at my store by clicking this link. Follow Heather G. | Golden Reflections Blog's board Scissor Skills on Pinterest.